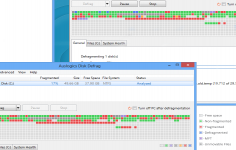 AusLogics DiskDefrag is a very effective interesting alternative to Windows defragmenter. It was developed to increase the performance and stability of the computer. The application enhances productivity and reduces the waiting time for loading files. The software does not have many features, has a simple and easy to use interface with a representation of the disk colored squares and makes the defragmentation a very simple task that is performed in no more than a few minutes. 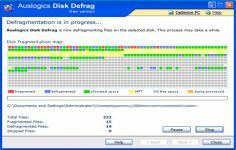 AusLogics DiskDefrag offers a detailed description as well as the fragmentation process map report.